Got the call after 6pm and had the consult with the docs. 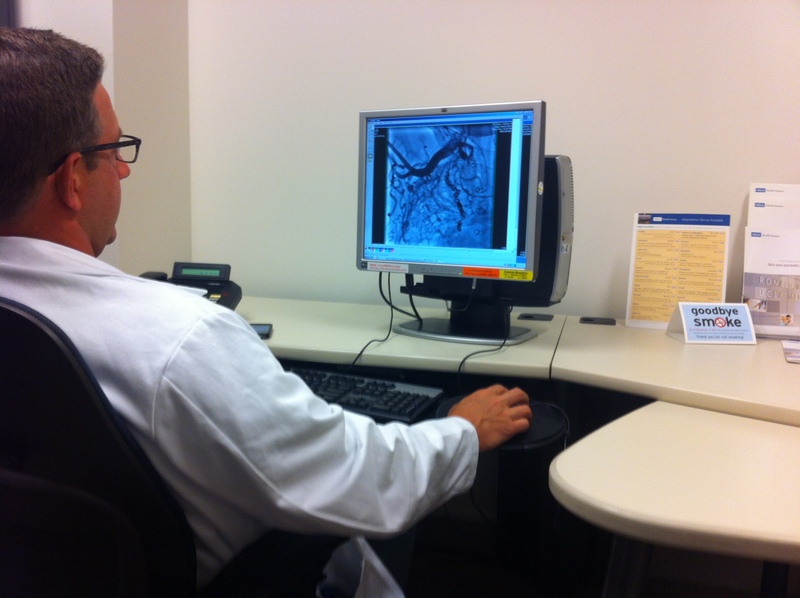 Here’s Dr. Dan giving us the subclavian slideshow. More details will follow but in short: stable & steady progress. Probably no clear-cut plan for surgery at this point. Just got to Rudy in Recovery. The woozy warrior greeted us with a smile. Thanks for praying for this amazing boy. Thank you Lord for bringing the little man through the procedure. So thankful all went well today! That woozy warrior greeted you with a smile! He knows he is so loved. Whew, a long day for our sweet boy, wonderful parents and siblings, and his family and all of his extended circle of friends. These doctors and nurses are amazing gifted ones. Thank you for all that has happened today and for all the caretakers you provided, loving God. Stable and steady progress….words we love to hear!!! Kisses and hugs! Glad you all made it through! Was praying for you! !